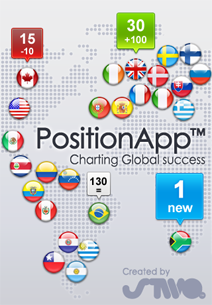 a gateway to the ups and down of global app chart success, giving one the power to track any iPhone app at any time, anywhere throughout the world. It is the most in-depth and insightful app discovery and performance-tracking tool i have seen (let alone being an app!). this is very cool for app developers to track their own apps.